Trash and recycling pick up days. 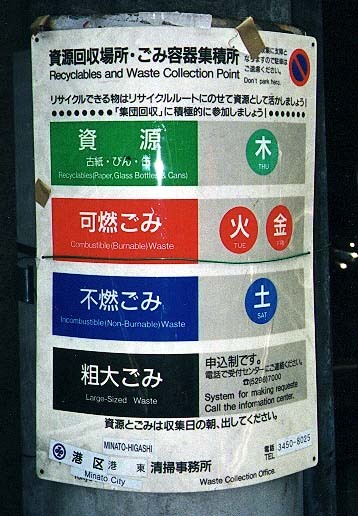 Sign, trash collection, recycling, Monday, Tuesday, Wednesday, Thursday, Friday, Saturday, green, red, blue, black. Signs, days of the week, daily life, colors. Specific day (ni), daily activities.